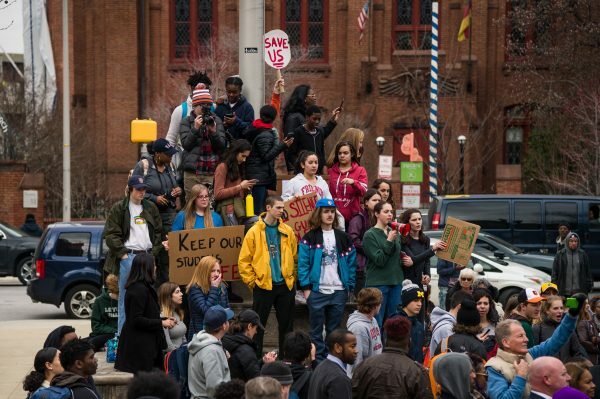 Students from several Baltimore area high schools walked out of class yesterday to protest gun violence and call for a stop to NRA lobbying in Washington. 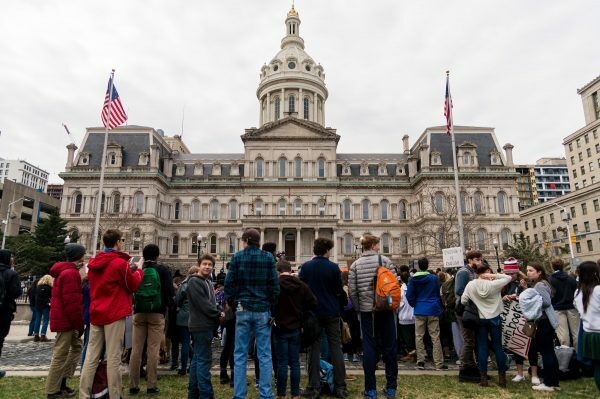 Carrying signs that read “Books – Not Guns,” “This Ends Now,” “I’m Pissed,” and “An Assault Rifle Is a Bad Substitute for Erectile Dysfunction,” the students made their way from schools around the city to the War Memorial Plaza in front of city hall. 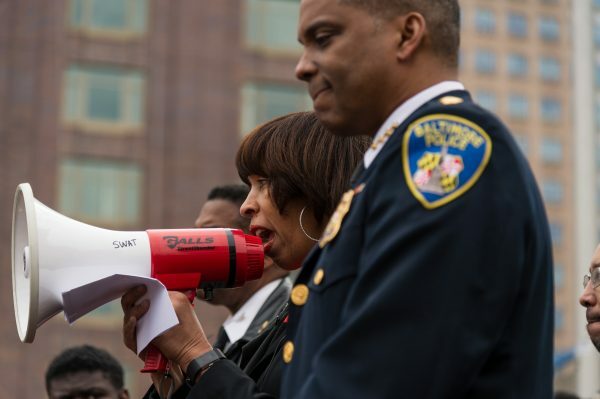 There they were addressed by Mayor Catherine E. Pugh and Police Commissioner Darryl De Sousa. 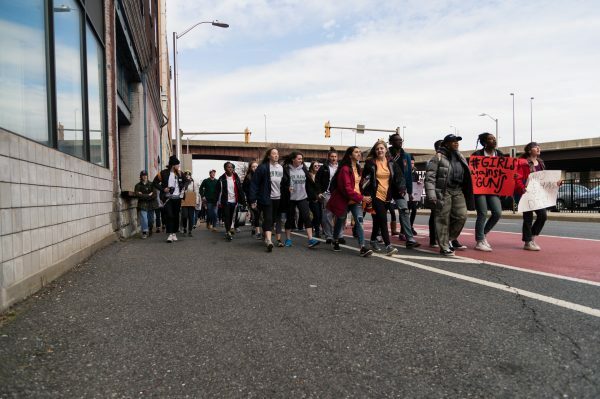 Pugh said that 89% of the crime committed on Baltimore City streets is perpetrated by individuals who have illegal guns. 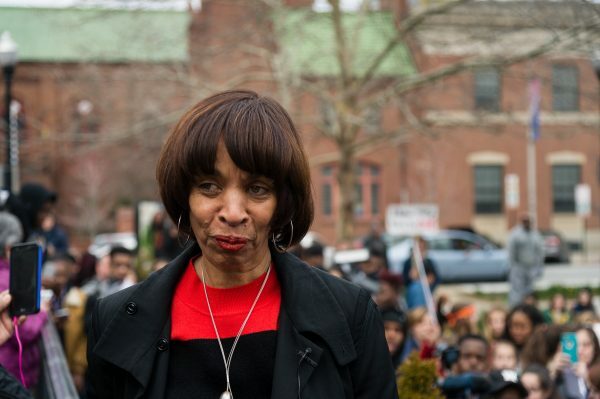 “They’ve already been in contact with our criminal justice system 9 – 11 times,” said Pugh. 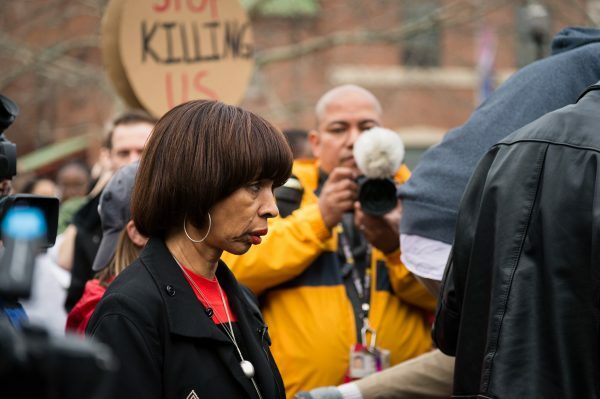 Pugh went on to say the city is organizing to attend a planned protest march in Washington on March 24. 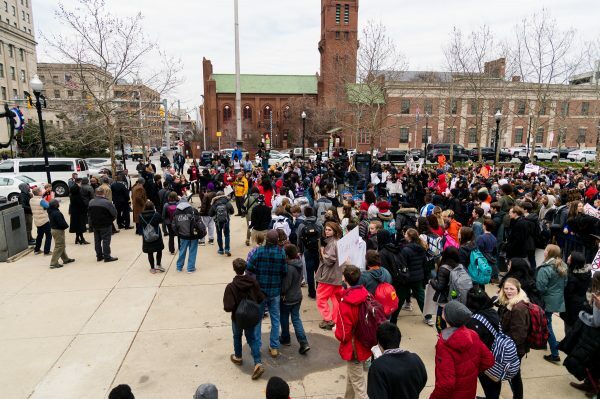 Pugh announced that the city would provide 60 buses to ferry protesters to DC for the event. 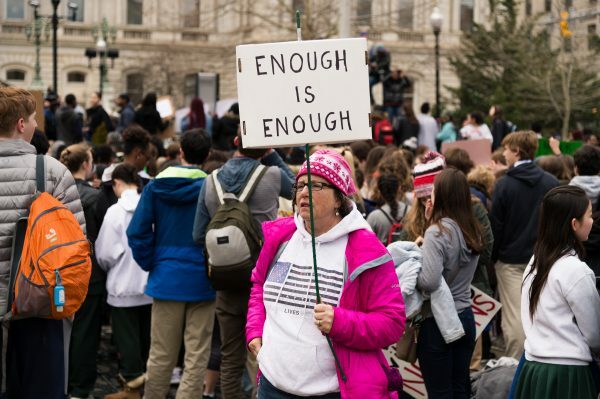 Later, she promised a t-shirt to each attendee of the march in DC.